Hellloooo friends! Well, the month of August holds for the committed few a nice reading challenge. Shonya from Learning How Much I Don't Know selected The Brothers Karamazov for us this coming month. Why, oh why, oh why did I choose the almost-800-page classic The Brothers Karamazov ? And for August, the month before school starts, of all months?! Admittedly, I was at the time unaware that we would be adopting a baby in April, so I might have thought I would have more time than I in fact do. Nevertheless, I am cautiously excited to read this one. My first exposure to Dostoevsky, which occurred within just the last five years, was Crime and Punishment and I was pleasantly surprised at how much I enjoyed it. True, it wasn't an easy read, but it was fascinating and thought-provoking and I had a blast discussing it (and learning more about nihilism) with two good friends. I told myself then that I wanted to read another of his works, but I have just never gotten around to it. When Carrie asked me to choose a classic for the Reading to Know Bookclub in 2014, I jumped at the chance to read and discuss another Dostoevsky novel. 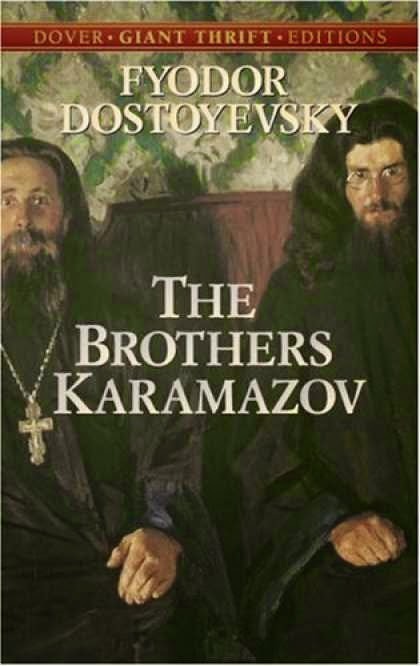 I chose The Brothers Karamazov because I keep hearing about it. I've seen it on a couple of lists of "books every christian should read". I understand it to spend a great deal of time examining the questions of whether God exists, and why there is so much evil and suffering in the world. Some people use it to speak against Christianity while others use it to introduce Christianity. Up to this point, I cannot speak intelligently about this great work because I have never read it. Thankfully, I consider myself a lifelong learner and I believe it's never too late to read a classic for the first time. 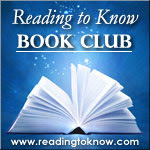 Thanks to Carrie for organizing this reading group and to each of you who are committing to read along with me. I look forward to reading each of your thoughts. My copy is standing at the ready! I wish I could join you, but I'm afraid I haven't the time or the brainpower at present. Sigh. I started this one early and got mixed up and thought this one was coming up last month, so I finished already and am looking forward to discussing it at the end. I do recommend the audiobook - that way one can listening while driving or getting read for the day or whatever, so it doesn't take so much "extra" time to read. I went through that plus had the free Kindle version for those passages I wanted to go over again or in more detail. I won't be joining the book club. However, I did look up the book for Kindle and thought you might like to know it's presently unavailable for Kindle. I've needed to reread this for years! I will be joining! I read this book recently (two years ago) and am not up for reading it again just yet... but I did want to say: Congratulations on the adoption!!! How exciting!! !